Everyone keeps talking about things that they have to do before they die. We all have some list that we want to finish in our lifetime. After all life is so unpredictable. To trek higher mountains – I love climbing mountains. You can guess that by my earlier blog posts. I want to go higher and higher, my aim is to complete atleast two treks with 12000+ feet of height by this year. 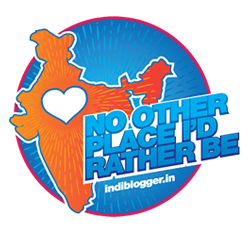 To backpack Northeast and live like a hippie – I love North East, I love the people and love their lifestyle. I have never seen such happy bunch of people during my travels. Finish my novel (and find time for it) – I don’t need to talk more about it, it hurts. Read as much as I can – Right now I have a target to finish all the classics by this year I hope that I am able to do that. I’ll am slowly getting into serious reading with every year. Send my parents on a trip to Udaipur and Mecloadganj – Two of the places that I have loved in my life and I want my parents to see those places and experience. Teach Monks at a Monastery – This has been on my list and is getting jinxed for last 2 years. I think I am yet not deserving to enter those powerful structures but I am waiting.